The village of Tortugas, New Mexico consists of an amalgam of Tiwa-Piro, Spanish-American, Anglo-American, and Mexican Indian cultural elements. These varied influences have been reformulated and unified into a meaningful and peculiarly individual pattern. For this reason the village presents an interesting laboratory for the study of cultural dynamics. Tortugas was originally settled primarily by Tiwas. 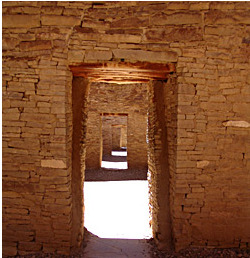 At present, however, Tortugas culture is very different from that of the other pueblos. Some cultural factors in history must be responsible for this divergence. An attempt has been made throughout to compare Tortugas culture with other Indian groups, especially Isleta and, where data is available, Isleta del Sur. In many cases it is difficult to determine whether elements are of Indian provenance or derive from Spanish-American or Mexican sources.